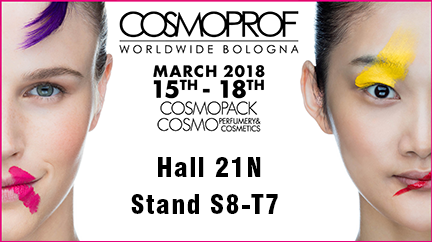 Cosmoprof Worldwide Bologna is the leading trade show globally bringing together all areas of the beauty industry, from raw materials to the finished product. The show offers personalized services able to meet different business needs thanks to the fact that it is divided into three different salons, has highly targeted visitors, and because it organizes initiatives that involve key players from the world of beauty. 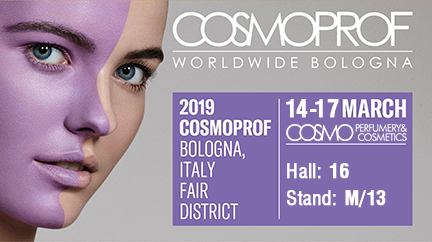 Cosmoprof Worldwide Bologna 2019 has achieved an important goal with over 265,000 cosmetic beauty professionals and a 10% increase in visitors from abroad - says Gianpiero Calzolari, President of BolognaFiere. These data, together with the exhibitors record - 3 033 companies from over 70 countries, make us proud of the results and give us the energy to face new projects. From Bologna, Cosmoprof Worldwide Bologna is ready to reach the whole world with commercial events on all continents. In order to better meet the needs of the companies in the sector, the Cosmoprof platform is expected to be more cosmopolitan and larger! 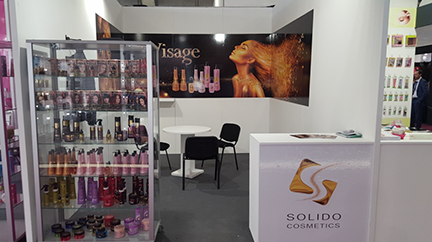 In 2019, Solido Cosmetics took part for the fourth time in the exhibition. The company for the first year participates independently without the participation of the Agency for Small and Medium Enterprises and the Bulgarian National Association of Essential Oils, Perfumery and Cosmetics. The stand was visited by many of our current partners, who turned to the products of the Mythic and Illuminatig series, presented for the first time at last year exhibition. Many new customers have shown interest in products and mainly hair dyes, with potential companies such as Spain, France, Croatia, Lebanon, Syria, Iraq, Jordan, Malaysia. 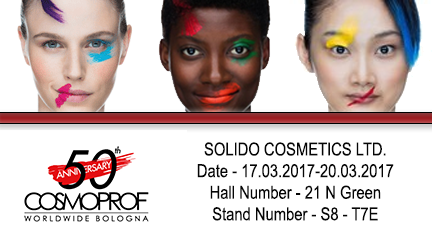 Solido Cosmetics will take part for the 4th time at Cosmoprof Worldwide Bologna. From 15th to 18th March in Bologna, Italy , there will take place Cosmoprof Worldwide Bologna International Perfumery and Cosmetics Exhibition. This is the only worldwide event which gathers together all beauty industry sectors. 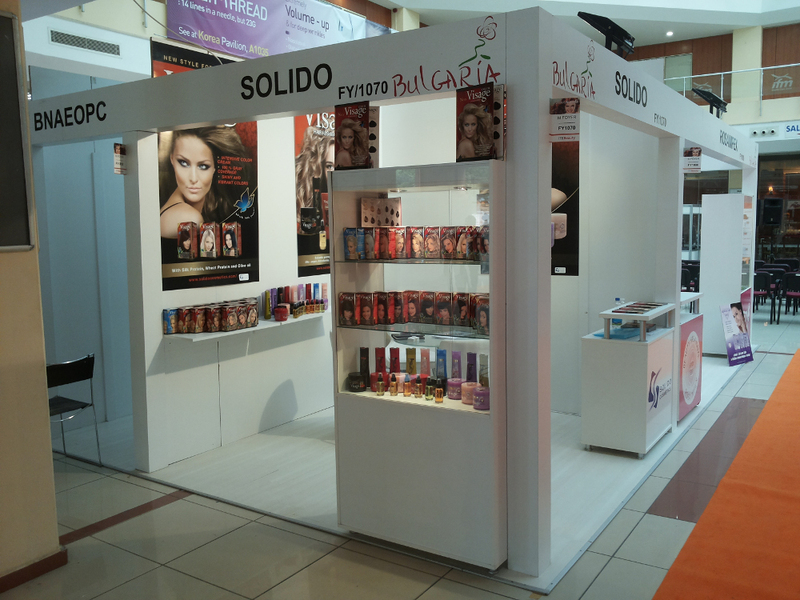 Producers from all over the world present a wide range of professional hair and cosmetics products at the exhibition. A wide variety of wellness and spa products of the best industry brands are also presented. "Beautyworld Middle East" is one of the largest events for perfumery, cosmetics, essential oils, toiletries, natural SPA cosmetics in the Arab world. 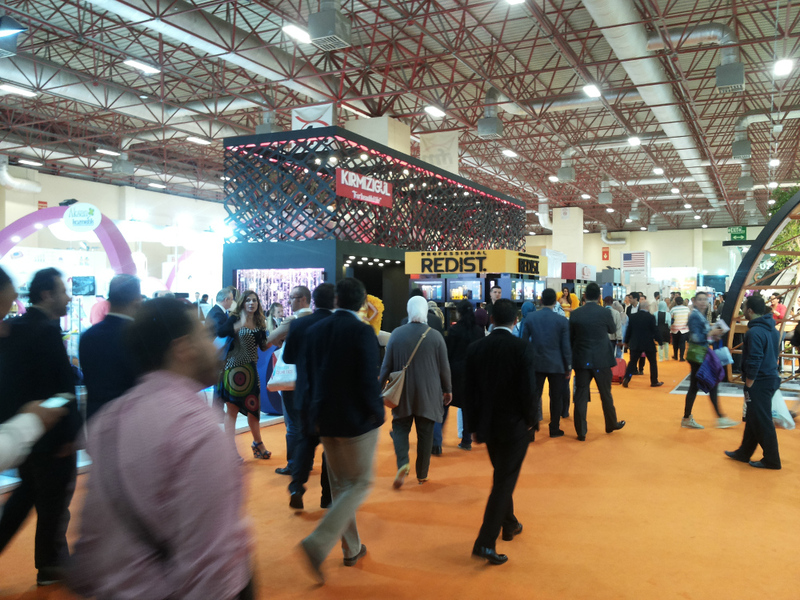 More than 1,500 exhibitors are participating in an exhibition area of 27,426 sq. m. 60 countries are represented with national stands, and the number of business visitors exceeds 37,000 - merchants, consultants, hotel agents, cosmetics associations, government agencies, the media, perfume and cosmetics professionals. The Beautyworld Middle East 2017 will take place from 14th to 16th May 2017 in Dubai, the United Arab Emirates. Beautyworld Middle East International Fair is the largest event dedicated to beauty and perfumery in the Middle East. The exhibition gathers a wide range of cosmetics products. Hair, skin, body, energizing products, rejuvenating creams, perfumes, decorative cosmetics, wellness and spa products – exhibitors are worldwide leading industry brands. Cosmoprof Bologna is the worlds largest specialized exhibition of perfumery, cosmetics, beauty salons, hairdressing, makeup and equipment for beauty and hairdressing salons. COSMOPROF annually presents the most interesting new products and ideas in all sectors of the beauty industry by bringing together science and imagination, design and technology, modern trends and traditions. From 17th to 20th March in Bologna, Italy , there will take place the 50th , Anniversary Cosmoprof Worldwide Bologna International Perfumery and Cosmetics Exhibition. 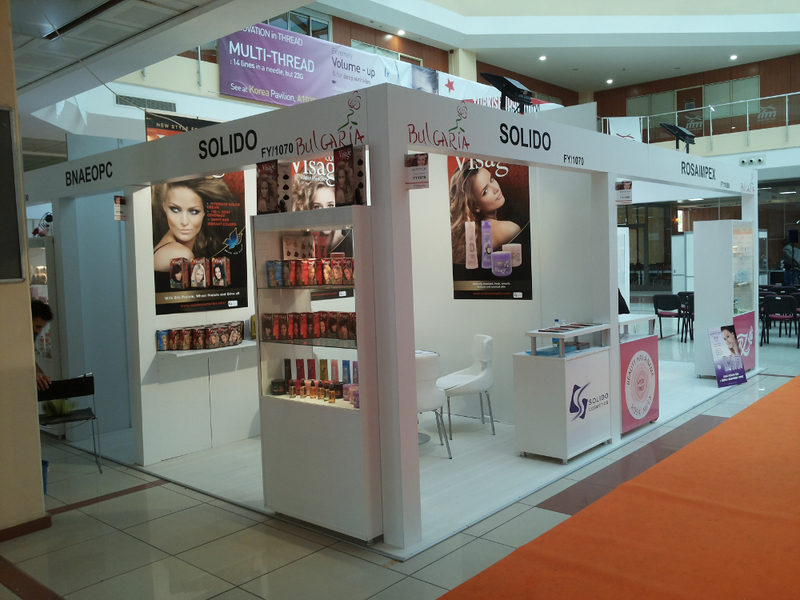 Beautyworld Middle East in Dubai, the region's largest international trade fair for beauty products, hair, fragrances. The 2016 show features over 1,500 exhibitors from 60 countries and 22 international pavilions. 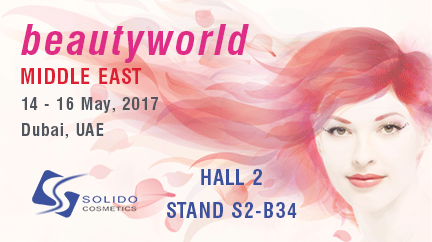 It’s the first time Solido Cosmetics has participated at Beautyworld Middle East, presenting its full range of products. 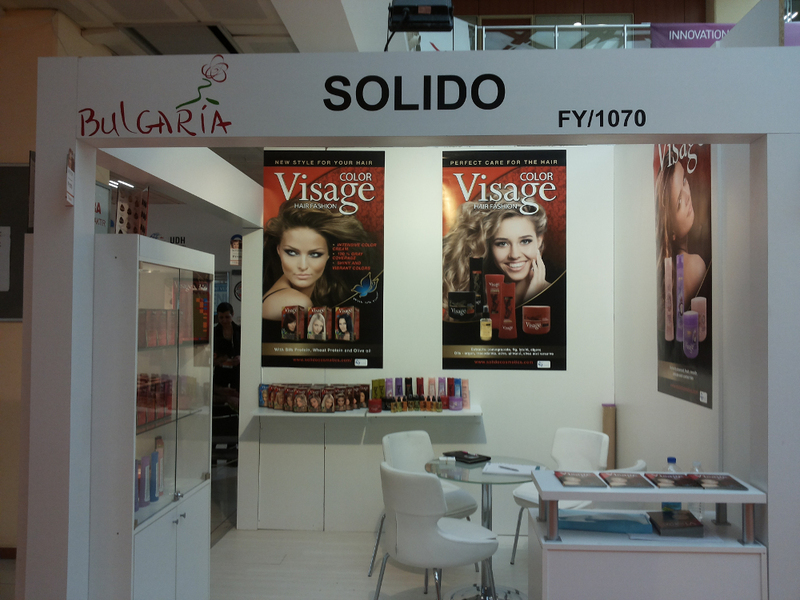 It’s the first time Solido Cosmetics has taken part at the COSMOPROF BOLOGNA International Perfumery and Cosmetics Exhibition as part of Republic of Bulgaria’s national stand. The initiative has been supported by the Bulgarian Small and Medium Enterprises Promotion Agency. We consider our first participation at the fair as successful as we have managed to present our company’s new products. We have conducted a number of meetings and had talks with potential distributors from countries such as Portugal, Italy, the Netherlands, Latvia and Estonia, Pakistan, and Sri Lanka. We hope that the forthcoming negotiations will result in expanding the company’s market in 2016. The Beautyworld Middle East 2016 will take place from 15th to 17th May 2016 in Dubai, the United Arab Emirates. The 49 Cosmoprof Worldwide Bologna International Perfumery and Cosmetics Exhibition will take place from 18th to 21st March in Bologna, Italy. The international exhibition for the cosmetics, beauty and personal care industry Beauty Eurasia 2015 took place in April in Turkey. At the exhibition we presented a hair color product and our Visage cosmetic products. As a result of our participation at the exhibition, we have gained new clients from the Czech Republic and Macedonia and we are about to close negotiations with partners from Moldova.